Yep! Whether you choose to save or destroy the New World, one thing's for sure: it will be Vulkanised on Linux. I haven't actually seen them mention this anywhere before, so it's good to see. While we knew they were likely going for Vulkan instead of OpenGL for future ports, it's still interesting to get confirmation. As a reminder, the Linux port of Total War: WARHAMMER II is due to release sometime in the "early Autumn". With that in mind, it's probably this month or early next month. You can pick up a copy from Humble Store, Steam and when it's out it will be on the Feral Store too. For those worried about Feral not getting paid before the release is actually out, Feral did previously state on reddit "Once we've announced a game, we're happy for you to go ahead and spend your cashes.". That's great! 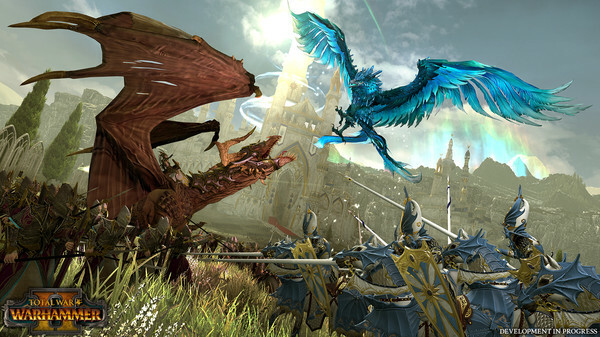 Total Warhammer runs pretty good all things considered, although it can chug on complex maps. It'd be great if Vulkan could get us over such hurdles. Nice. Even if it is not my cup of tea. Quality ports performing well can only help ! Why? Seemed to work just fine when I last tried it. If it performs better with DXVK for you, does it do so on all supported hardware out of the box? I doubt it's even worth the QA. Results with DXVK is even better. That is from 2016. 1-) You can't install Windows versions of native Linux titles with Proton. 2-) They are already updating some old titles with Metal for Mac. 3-) I'm not asking for creating a seperate Vulkan renderer for these old games. That would be costly. 4-) Everything , including tesselation works with DXVK. 5-) That is both beneficial for Linux gamers and Feral. All they have to do is testing it. So TR 2013 can provide much better performance for Linux newcomers. The Linux port was updated for better performance after that video was made, as confirmed by the comments. I don't doubt that it might still perform better with Wine/DXVK, but that doesn't mean ditching their native port for a Wine wrapper and redoing the QA would be worth it for Feral. I might agree with you if their port was horribly bad, but it just isn't. I don't say they should remove OGL port though. An option like Mad Max , DoW3 has would be good. Performance difference with Windows in TR 2013 is nearly 3X. I'm ok with excellent ports like RoTR but i'm not asking for a complete new renderer by Feral . I'm sure theirs Metal update to CoH2 was much more costly. I played the Feral port late after all the updates had arrived, and it's great, nothing like in that video. Absolutely no need to revisit it or change it. Oh yes, I'm looking forward to this. I wanted to play the second game for a long time. You mean Wine? Sorry but I don't buy wirows only games anymore.